much fun as the first one! Want to know how to get this stamp set? that will end up being your go to stamp sets. "Encouraging Thoughts" and "Make a Wish". and check out their "Crafty Christmas"
Thank you for playing along on this challenge! 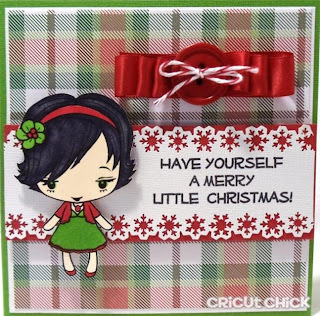 I think this card is super stinking cute! I love that lil girl and the colors you put with her. Great lil bow on the inside. Lovely card! Great coloring on the little girl and I love the way you border punched the sentiment strip and matted it. Great job, My Friend! AMAZING....Everything about this card,is adorable.Great job on this one Julie..Can't say enough...The little girl,colors,bows...You put it all togather perfect I REALLY LIKE THIS ONE!! I love this. 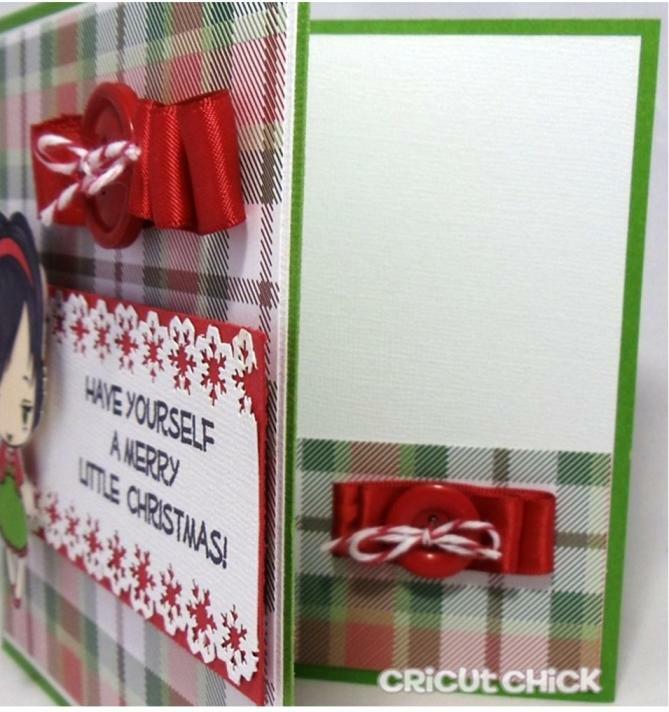 I love the way you cut around the digi, how you did the bow and strip of border too. 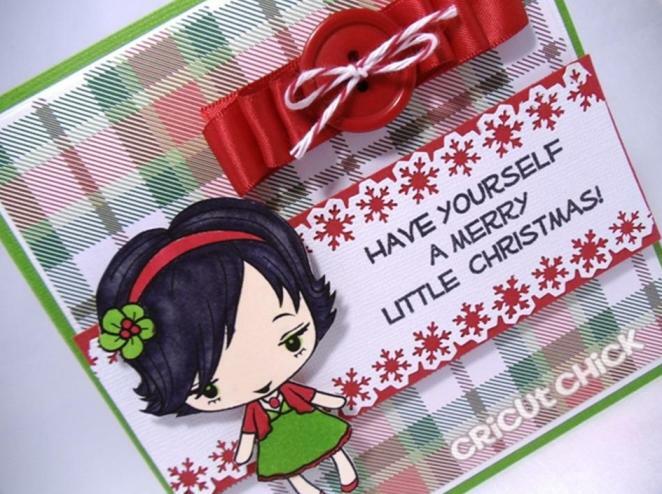 i always love your cards…this one is very cute. I really like that you completed the inside of your card, something I neglect to do often! Very cute card! 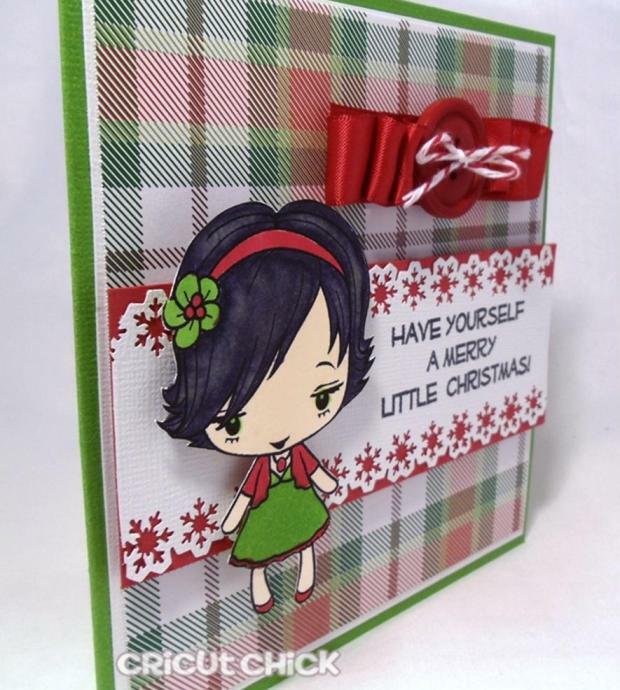 So pretty and cute don't you just love TGF Stamps. Your card is adorable, great job on the little girl! Love the paper & the ribbon with the button.